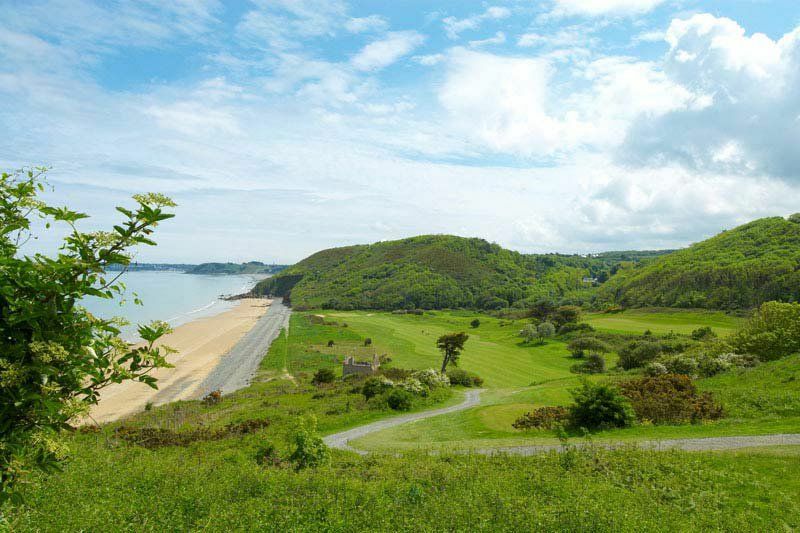 Located between Saint-Malo (about 32.2mi) and Saint-Brieuc (about 17.7mi), the 18-hole Pléneuf-Val-d’André golf club overlooks the Emerald coast of Brittany. 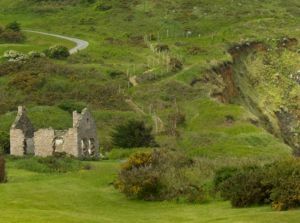 Moors sculpted by winds, cliffs and rocks beaten by the waves, immense Atlantic Ocean as far as you can see: the natural beauty of this location awes golfers and gives the club its international reputation. 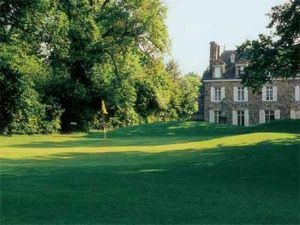 Without a doubt, one of the most beautiful courses in France, according to the European Golf magazine, often visited by amateur and professional golfers from the entire world. 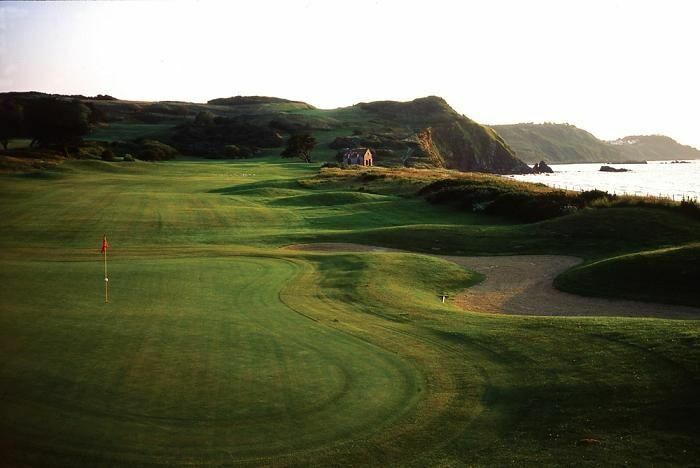 The 18-hole Pléneuf-Val-d’ André golf club owes its originality and reputation to the spectacular view over the beaches and rocky coast swept by the swell of the Atlantic Ocean. 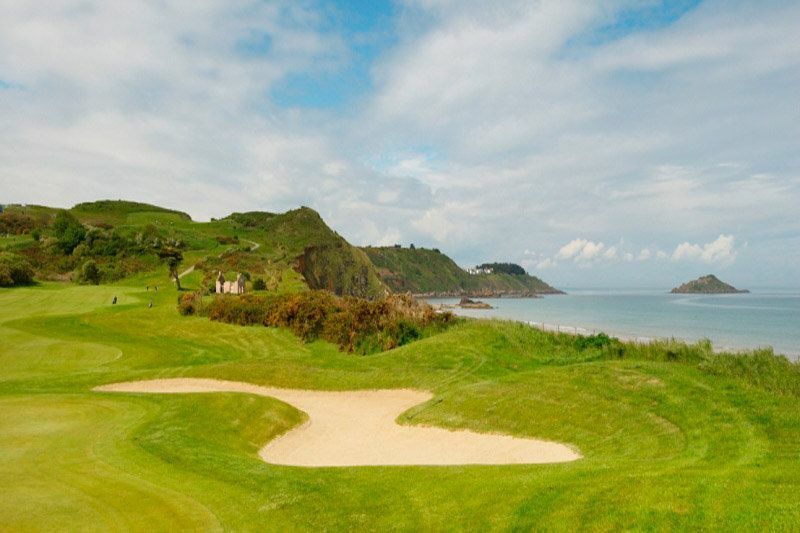 Everything reminds you of the wild atmosphere of the Scottish links, when the deep sea winds blow over the fairways, making the long approaching strikes tricky at times: which is one of the appeals of a game of golf on the Pléneuf-Val-André golf course! 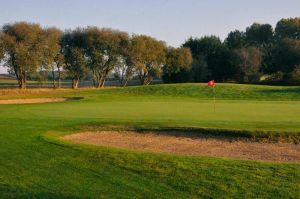 Blue Green Golf de Pleneuf Val Andre - 18T is not yet in our pool of Golf Courses for orders.